INS Sunayna has been deployed on anti piracy patrol in the Gulf of Aden since 06 October 2018. 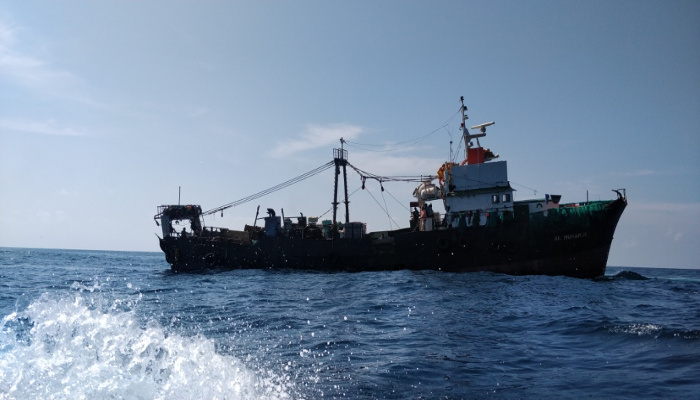 On 07 December 2018, the ship detected a suspicious fishing vessel, approximately 25 nm off the coast of Somalia, in the vicinity of Socotra island. 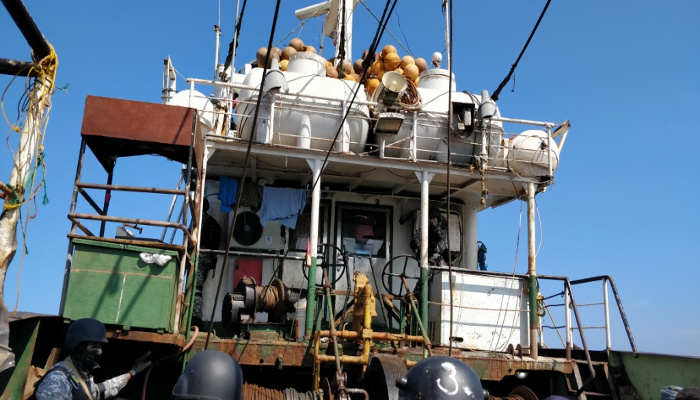 Upon investigation, the ship found that the vessel was engaged in illegal fishing in the area and was also in possession of four AK-47s and one Light Machine Gun, along with ammunition. 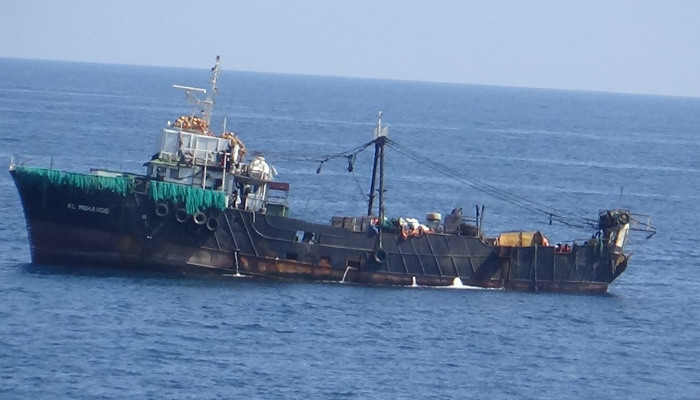 INS Sunayna seized the arms and ammunition from the vessel, under the authority accorded by UNSCR 2383 (2017). 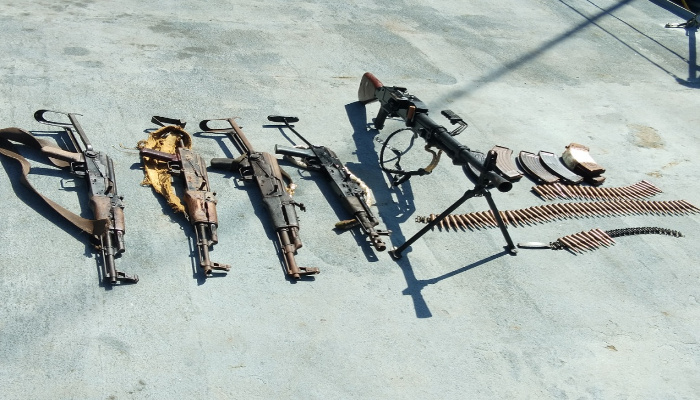 The vessel was thoroughly searched and allowed to proceed, after confiscation of the arms and ammunition, to prevent illegal use later by the crew for piracy related activities. 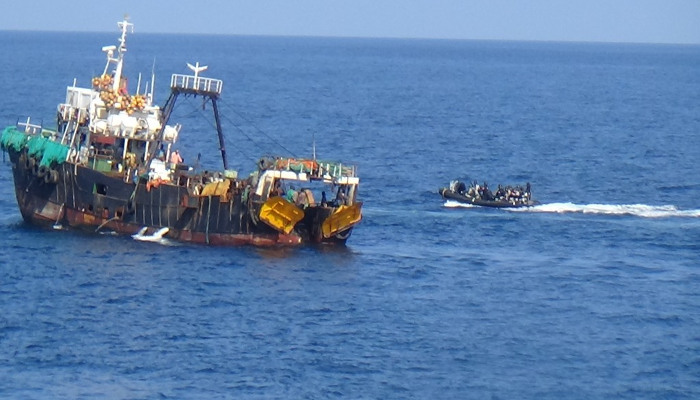 This incident reiterates the commitment of the Indian Navy towards ensuring safe seas for Indian, as well as international, seafarers in the Indian Ocean Region, particularly the Gulf of Aden and off the coast of Somalia. 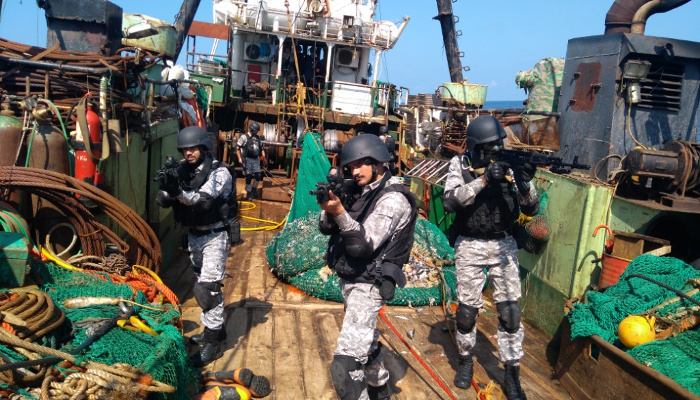 The complex relationship between Illegal, Unreported and Unregulated (IUU) fishing and piracy has been acknowledged in United Nations Security Council Resolution (UNSCR) 2383 (2017) and warships deployed in the area are always on the lookout for such illegal activities.